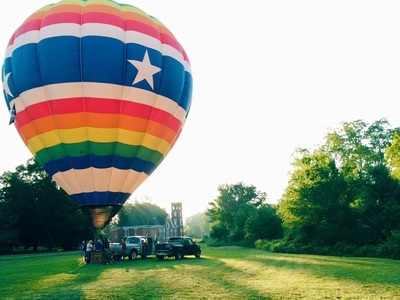 If you'd like to check an item off your bucket list, you may want to consider booking your balloon ride experience from one of the participating FAA Certificated Commercial Hot Air Balloon Pilots attending the festival. 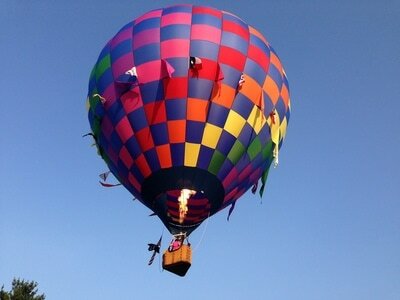 ​Ready to fly? 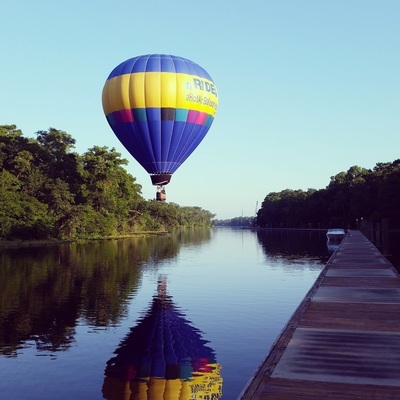 If you want to pay for a balloon ride, you will book your flight directly with the pilot. 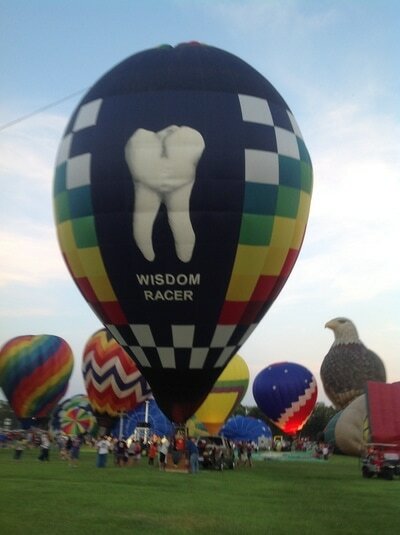 All passengers are required to check in at the Waiver Tent on the Festival Field at Fleming Loop Park. 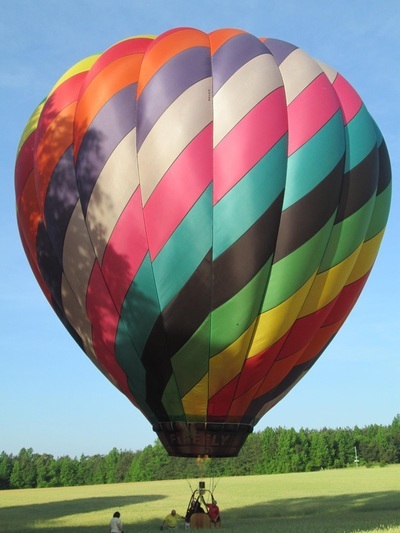 The following pilots welcome inquiries for rides during the WRAL Freedom Balloon Fest presented by Lane & Associates Family Dentistry. 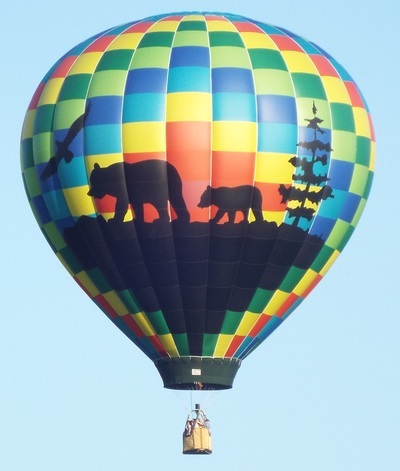 Pilots are generally charging $3o0.00 per person for rides. 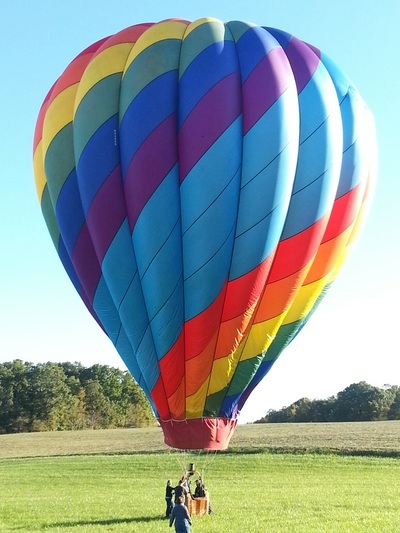 Click the balloon photos below to email a pilot directly about booking your flight. Be sure to read the festival's Passenger Release & Waiver of Liability. 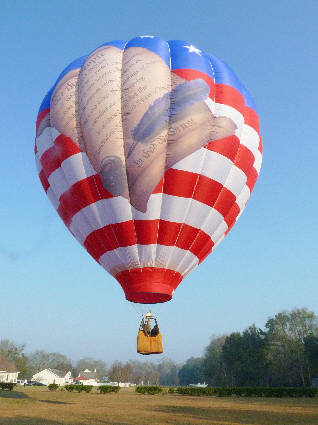 It includes important general safety information about hot air balloons. All passengers must check in at the Waiver Tent at the Festival Grounds, read and sign a Passenger Release & Waiver. You have to be in reasonably good health. If you've had surgery (especially orthopedic related procedures), you should wait to heal - typically one year after your doctor has cleared you for more strenuous activities. If you're a "seasoned citizen" answer the question for yourself, "If you were to jump from your kitchen chair to the floor, would you hurt yourself?" If the answer to this question is yes, you may wish to consider being a spectator. Passenger weight matters. The total weight of the passengers is important. 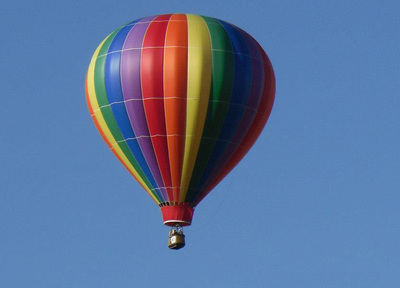 The hotter the weather, the less weight the hot air balloon can carry. 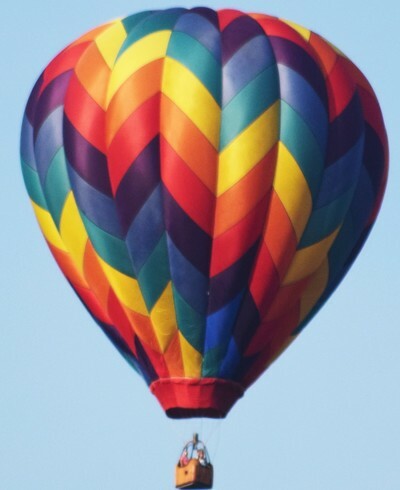 Generally speaking, combined passenger weight should be no more than 400 lbs; this limitation will vary depending upon the balloon and heat of the day you're flying. 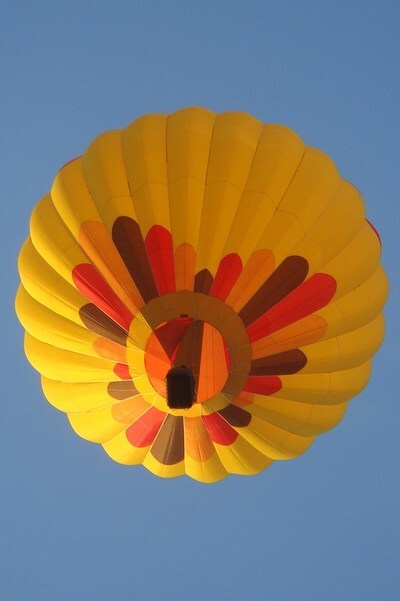 So, when your pilot asks you how much you and your fellow passengers weigh, be honest. It's for your safety. Children. Different pilots have different policies about flying minor children; some do not fly minor children while others do. 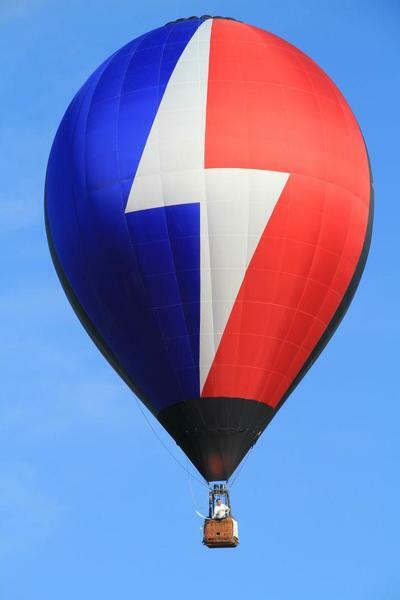 Some pilots have a minimum age requirement. 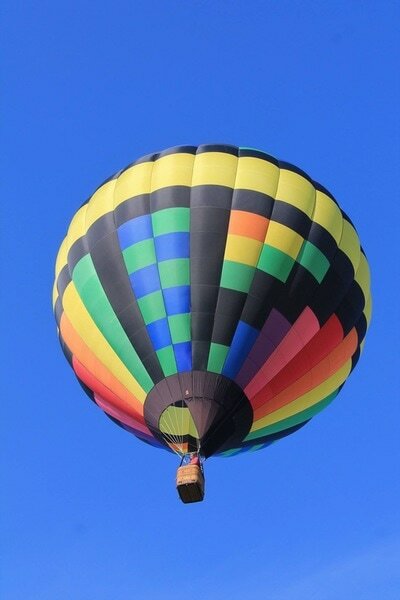 In general, most children should be tall enough to see over the edge of the basket - about 48 inches or taller - in order to enjoy the experience. After all, if they can't see the beautiful sights, they'll get bored. 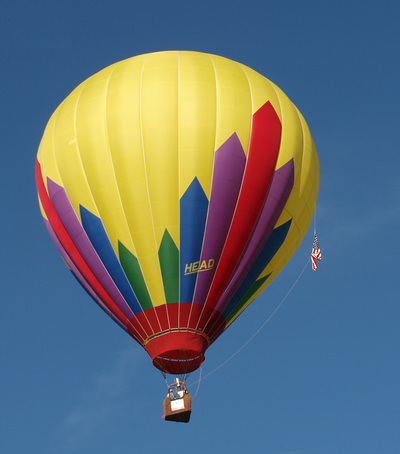 Have a conversation with your pilot about your particular child and his/her maturity level. Be prepared for an outdoor adventure. 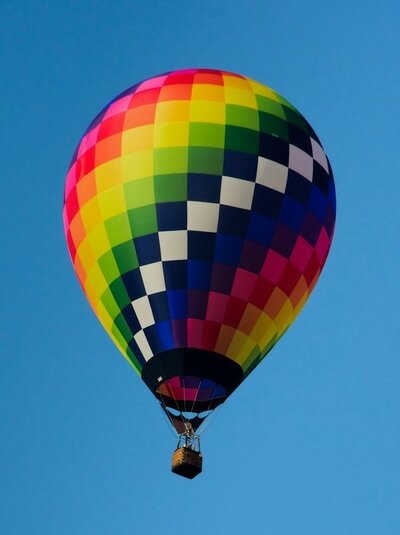 Unlike flying in a plane or helicopter, hot air balloons often do not take off or land at airports. 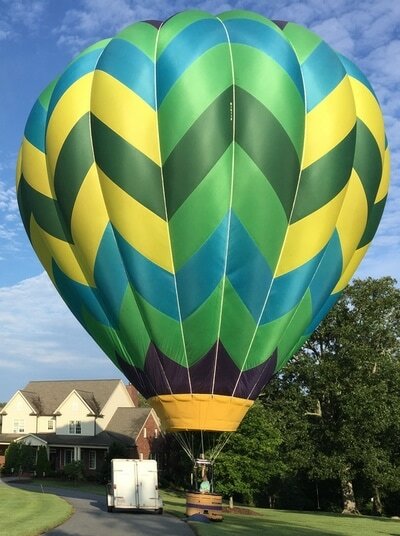 More likely, you'll find yourself in the midst of a beautiful country or suburban setting. Dress for outdoor activities. Wearing closed toe shoes is strongly recommended. 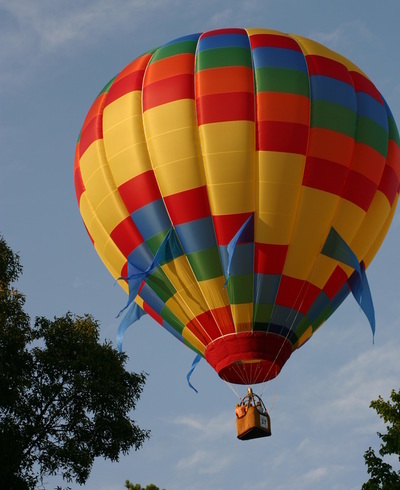 Hot air ballooning is an outdoor activity with inherent risk of serious injury or even death. 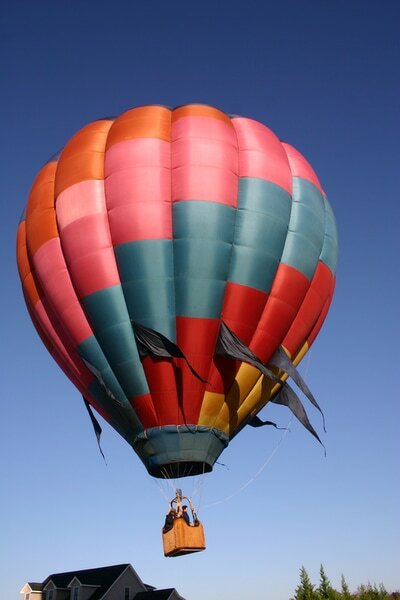 It is important that you understand the risks associated with hot air ballooning before, during and after the flight. 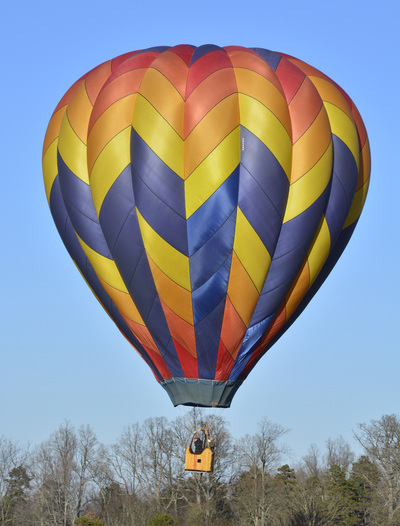 Before your flight, ask your pilot for briefing about the unique safety procedures for his/her aircraft. 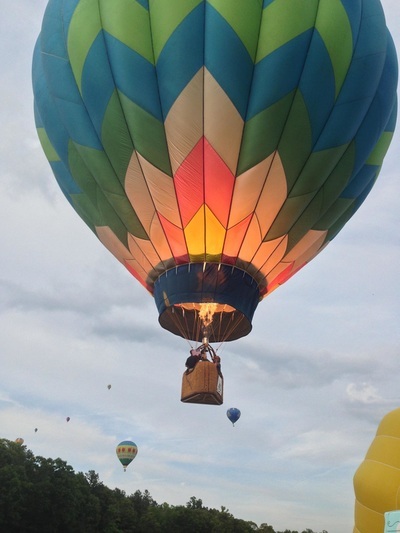 Festival organizers require all persons planning to enjoy a tethered ride or flight in an hot air balloon read and sign a Waiver of Responsibility. You can download a copy below and there will be a "Waiver Tent" at the festival where you'll check in prior to your flight. 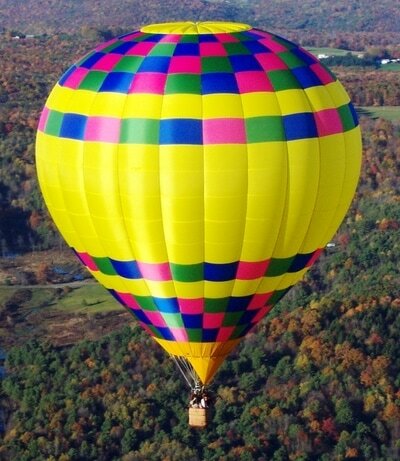 Your pilot will likely ask you to read and sign an additional waiver. Be sure to read and understand it carefully.